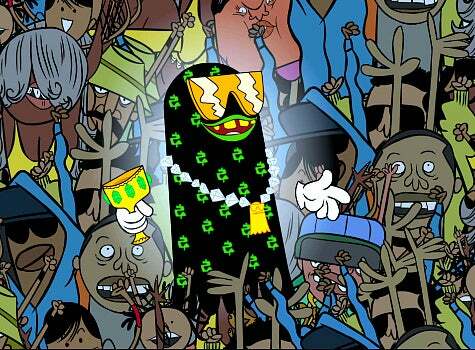 Many of us, still in disbelief, had to re-watch "Freaknik: The Musical" to make sure that what T-Pain did Sunday night wasn't imagined. Unfortunately the freak-fest was real, and left all those, with even a smidgen of pride in our culture, scratching our heads. Understand, we aren't trying to manufacture this into big deal, because all "jokes" aside, "Freaknik" is in fact a big deal. We countdown the 10 most offensive scenes that truly had us shaking our heads... Read more: Commentary: T-Pain's 'Freaknik' Is Animated BuffooneryT-Pain Brings Freaknik Back In Cartoon Musical Here's what you said: Anonymous commented: "This class of men (more like boys) does not, and will never, speak for me or women like me. I will not let this class of people represent me. They are simply representing their culture--the ignorant ghetto rap culture and the women who drop it low for their entertainment." D said: "To anyone that says 'it's just entertainment'...YOU are also a part of the problem!!"